"Thanks for stopping by." 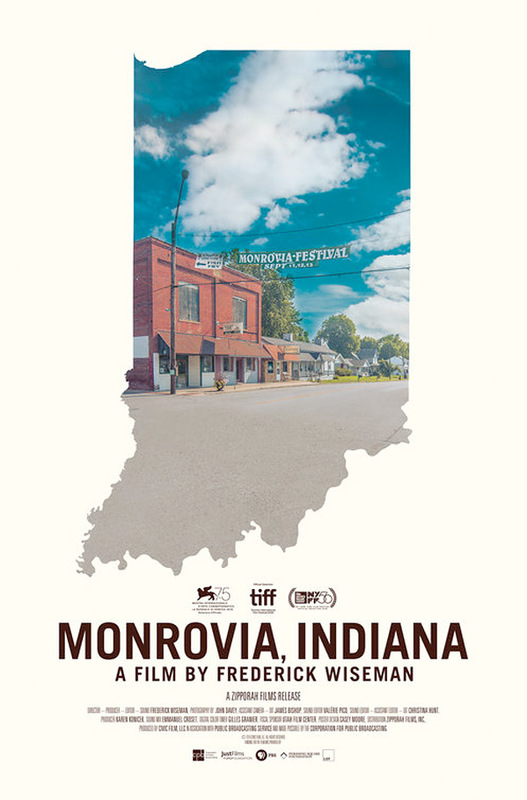 The first official trailer has debuted for the documentary Monrovia, Indiana, the latest film by iconic doc filmmaker Frederick Wiseman. This premiered at the Venice Film Festival, played at TIFF, and is also stopping by the New York & London Film Festivals next. Monrovia, Indiana is another entry in Wiseman's observational oeuvre, taking us to a very small town in the middle of America. Wiseman explains: "During the nine weeks of filming the residents of Monrovia were helpful, friendly and welcoming and gave me access to all aspects of daily life. Life in big American cities on the east and west coasts is regularly reported on and I was interested in learning more about life in small town America and sharing my view." The film runs 2 hours, 23 minutes and is worth a watch if you're a fan of Wiseman's docs. Frederick Wiseman's Monrovia, Indiana explores a small town in rural, mid-America and illustrates how values like community service, duty, spiritual life, generosity and authenticity are formed, experienced and lived along with conflicting stereotypes. The film gives a complex and nuanced view of daily life in Monrovia and provides some understanding of a way of life whose influence and force have not always been recognized or understood in the big cities on the East & West coasts of America or in other countries. Monrovia, Indiana is directed by legendary American doc filmmaker Frederick Wiseman, of many films including Titicut Follies, High School, Law and Order, Hospital, Missile, Blind, Ballet, Public Housing, The Garden, La Danse, Crazy Horse, At Berkeley, National Gallery, In Jackson Heights, and Ex Libris most recently. This first premiered at the Venice Film Festival, and will play at the New York Film Festival next. Zipporah Films will open Wiseman's Monrovia, Indiana in select theaters starting October 26th this fall.